The girls were so excited that this came in the mail!! They have been getting Little Passports subscriptions for the last little while and they really love them. 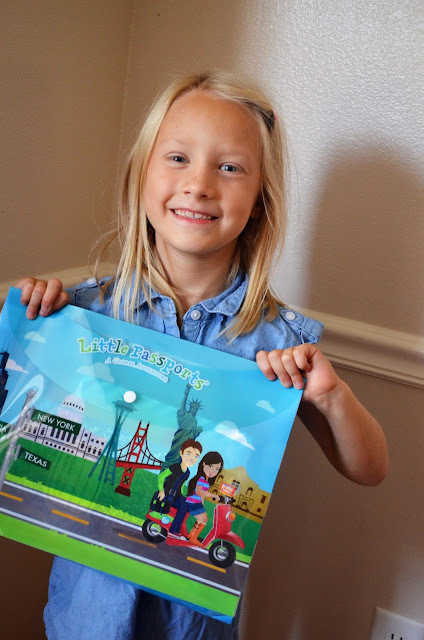 Little Passports is a subscription box company that sends your kids a box of learning tools that teach them about the world. I love this because it gives them a way to love learning. 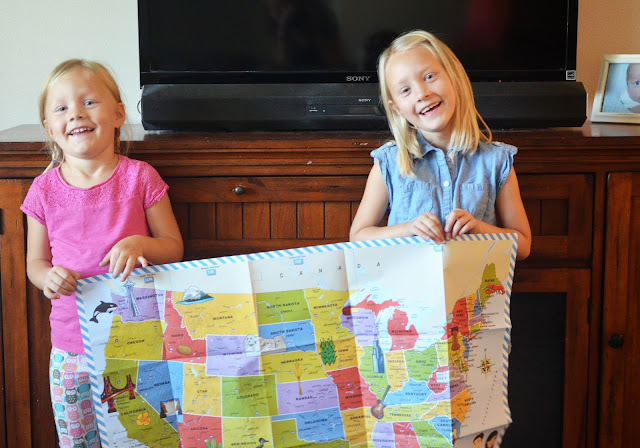 For the first little while, they were getting the world edition that taught them all about the different continents and countries in our world. It talked about different food, culture, music, animals, and landmarks. I decided to start getting them the USA edition because I feel like it's important that they learn and have pride in the place they are from. The USA edition is geared towards a little older group of kids but M still thought these things were super neat. The box came with a folder to hold all of your box's contents in. That is super great because it helps keep it all organized, and it's really easy to store so that I don't have such a cluttered mess. 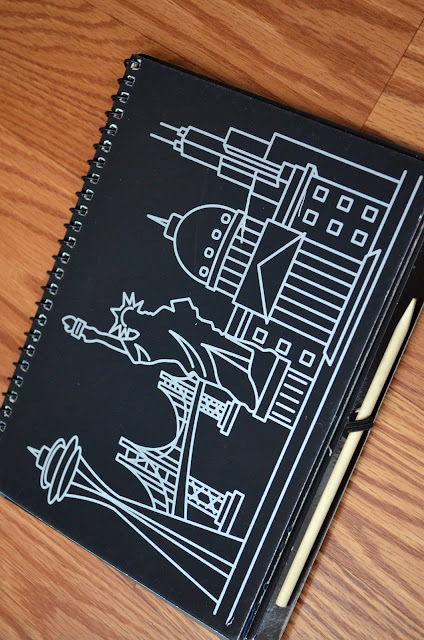 Inside the folder, there was a map of the United States, a "travel journal", a scratch book, and a letter from Sofia and Sam (the fictional characters that write and send letters with every box you get). First, we open the map and I had the girls find Utah. Then we talked a little bit about a few of the states they have visited and that they have had family live in. And then we read the letter from Sofia and Sam which basically just explained the way Little Passports works and what they would be learning about. Then the girls didn't waste much time breaking open the scratch book. This is a fun little activity for this month. They send a new learning activity for every month. 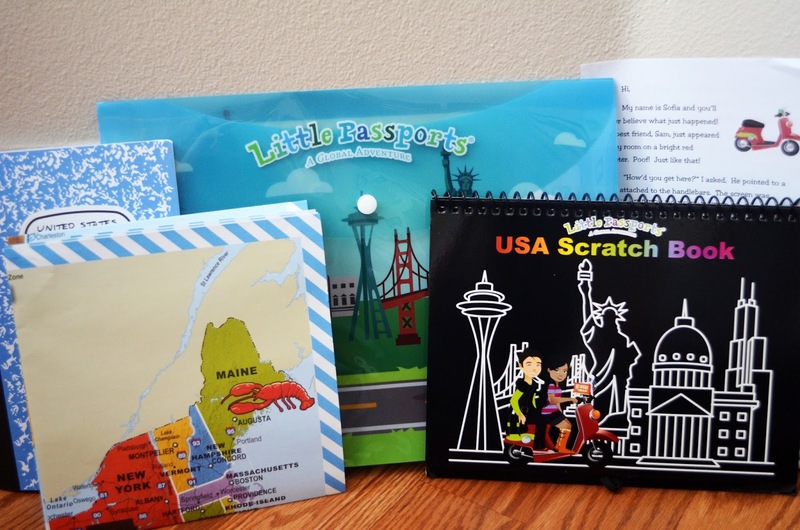 The scratch book has several different pictures and stickers about the USA that you can scratch and it changes into sparkles or rainbow background. We talked about a few of the landmarks that were on the scratch art book, they were most interested in the Statue of Liberty. But that is one thing I really love about Little Passports. It gets them excited to learn about the world, and it helps me know where to start in teaching them. 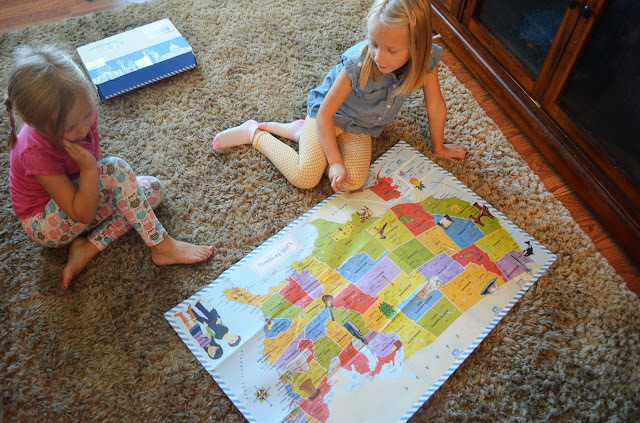 They also liked to just sit and look at the map and at the different landmarks that they have on that. You can sign up your kids up for a 3-month subscription for Little Passports by going HERE. Another fun thing that the girls love is that the package comes in their name instead of mine. It makes them feel extra special that they get some special mail. 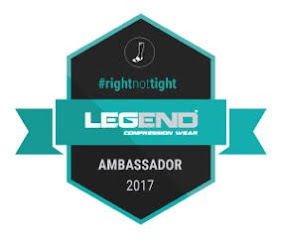 We can't wait to see what comes next month to go along with our fun stuff from this month! What did you love learning about most when you were young? What is something that always made you feel special growing up? 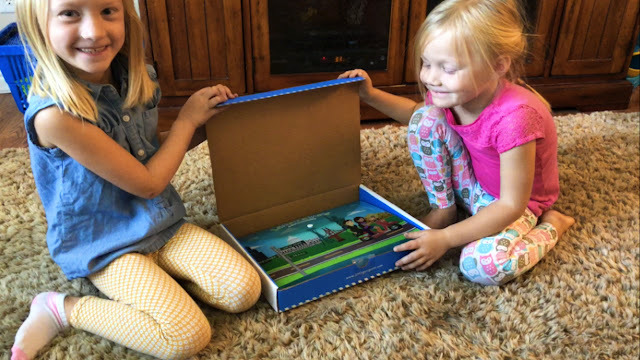 What is your favorite subscription box? 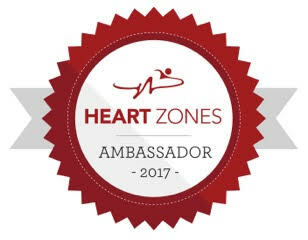 *Little Passports provided me with a subscription and sponsored this post. All opinions are completely my own, and we are so thankful for the subscription! Thanks for reading.